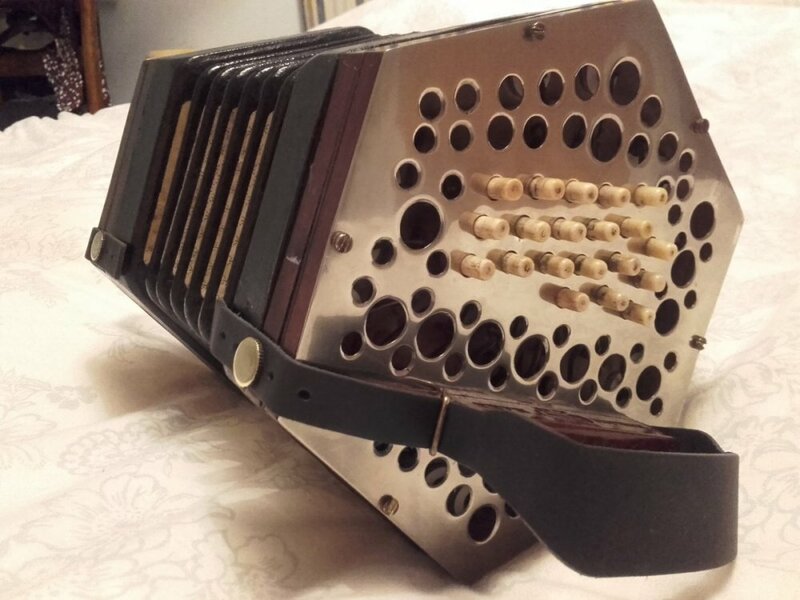 Overall listing is at https://www.ebay.com/itm/Vintage-1930-Key-Concertina/333084187506 . 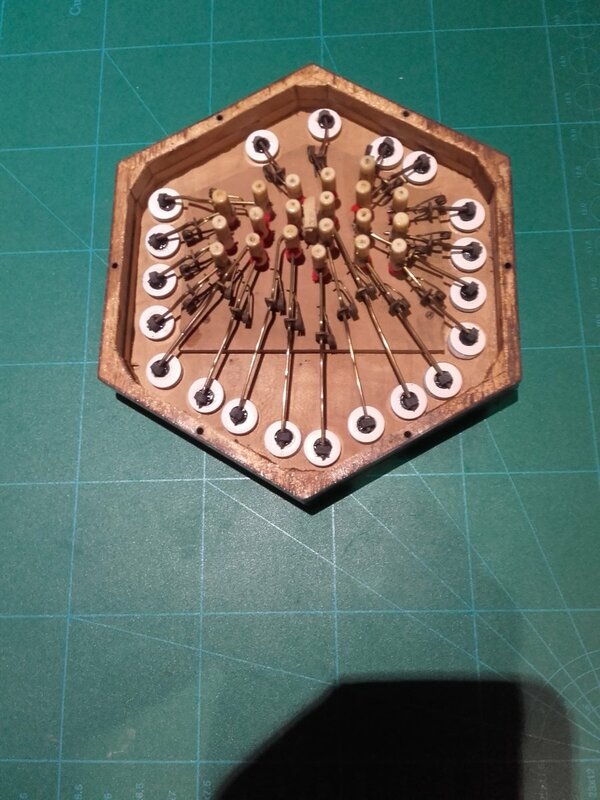 I have a Lachenal English that looks really similar, but with a larger number of smaller diameter holes. One day I will get around to replacing the ends with something prettier. I wonder if the same repairer did both instruments. I also had a Maccann duet with similar ends. I started refurbishing it but sold it on eBay for to someone to finish it. The ends looked like replacement aluminium ends and didn't have a wooden backing around the button holes. From what I remember, the buttons on ths Maccann fitted quite well but I would expect the metal to wear down the bone buttons. 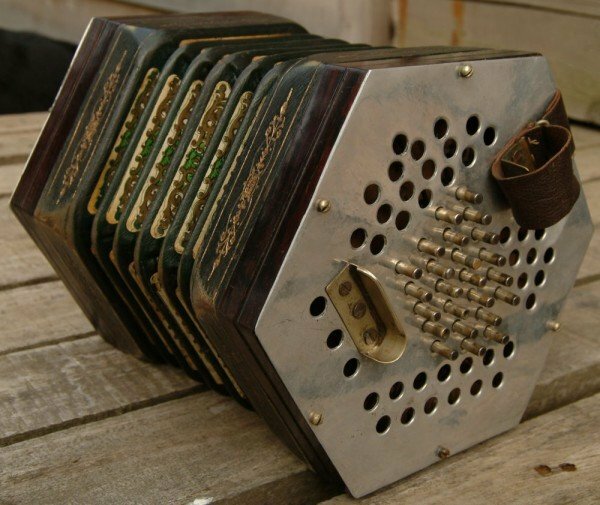 How would these round holes, as opposed to traditional scroll work, affect the sound of the instrument? I assume it would, given various discussions over the years about fretwork. Not a problem. 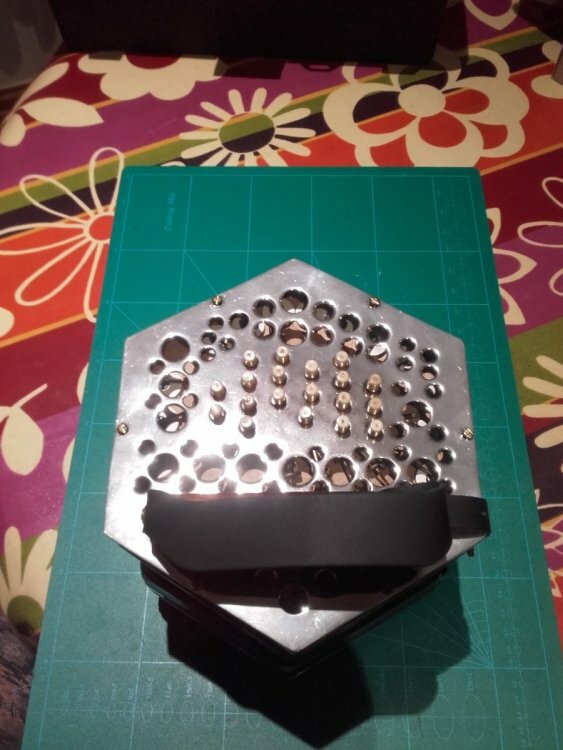 I guess the thin metal ends would cause that to happen to any concertina. There was a name in the concertina. I will try to recall it as that may give a clue to the origins of the metals ends.